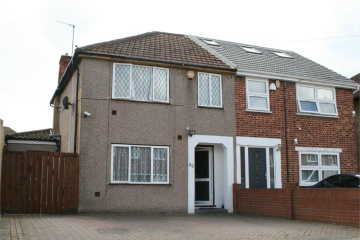 We offer to let a 3 bedroom extended family home set close to both the Uxbridge Road with its shopping facilities and bus routes and a short distance from Grange Park School. This family home offers large through lounge, downstairs wet room and wc, a large extended kitchen with built in appliances, the first floor has 2 double bedrooms with fitted wardrobes and 1 single bedroom also with fitted wardrobes plus the family bathroom. To the outside of the property there is off street parking for 2-3 cars and to the rear there is an easy to maintain garden and use of the large brick built storage room... Property comes unfurnished and ready to let.